Change fees are one of the worst parts of booking flights. You never know when something will come up — and there’s not much you can do to get around paying. It’s also one of the reasons that dealing with Southwest can be such a pleasure. Virgin America is the latest airline to offer such a perk — but you’ll have to pay for it. 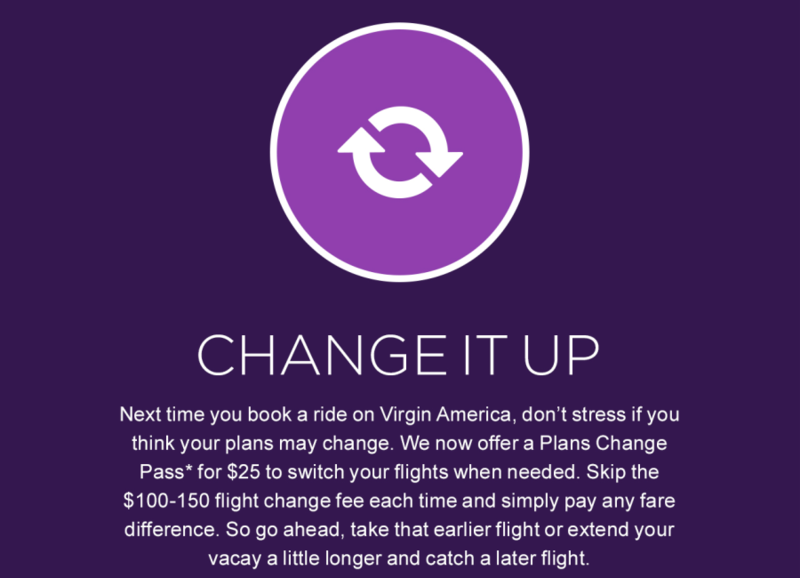 Pay $25 to change Virgin America flights. Typically, a change fee is $100-150 on the airline, but this latest benefit will tack $25 on top of your normal ticket price. It allows unlimited changes to your ticket — you’ll just have to pay a difference in fare (if applicable). Travelers will be able to alter the flight date, time, origin and destination of the original ticket booked, although name changes and cabin class changes are not permitted. Additionally, if you hold the Virgin America Premium Visa Signature Card, this feature is offered complimentary. Thanks to TPG reader Justin P., who shared this news tip by emailing tpgtips@thepointsguy.com. We’ll be sending out a $200 Visa gift card as a token of our appreciation.